There is a wonderful hashtag on instagram it is called Days of Small Moments. I believe the best days are the ones that are unplanned, lived slowly and appreciated 1 minute at a time. Small moments are the magical ones. I was lucky to spend a day like this with my teenage son recently. 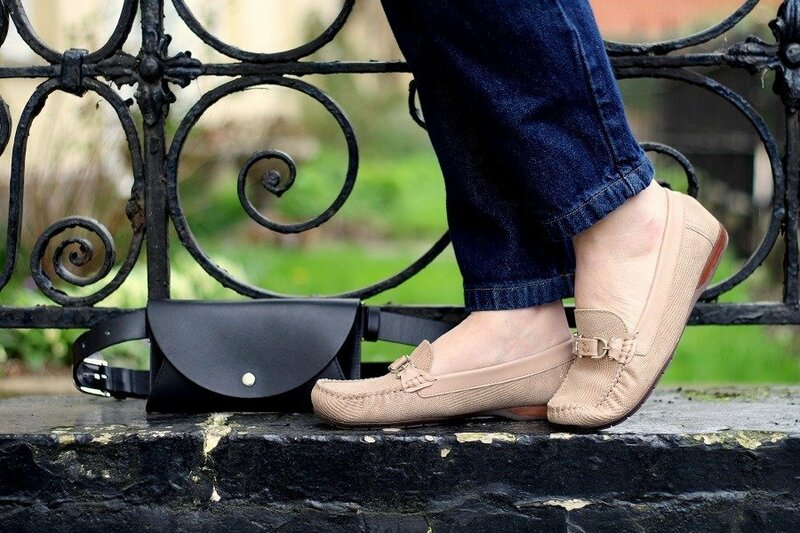 He very obligingly, took some photos, so I can share my comfy new shoes with you too…win win! Trying To Keep it real! 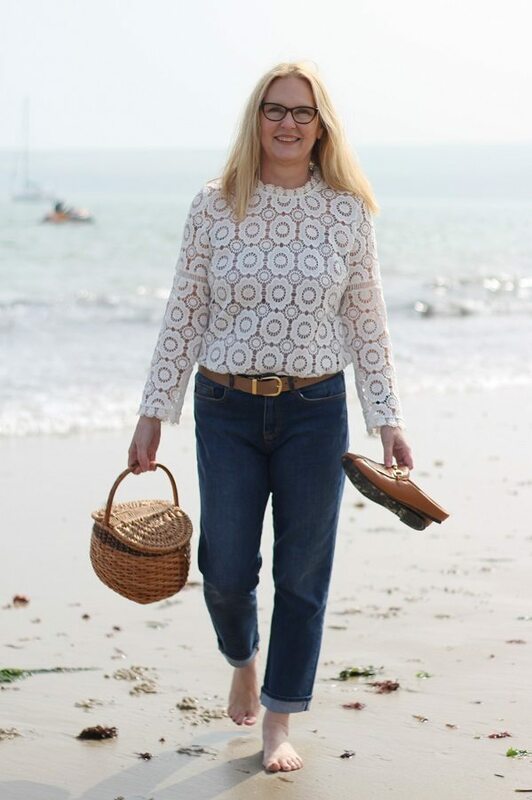 To dress up simply to write a style post, feels inauthentic to me. These days I prefer to record what I am actually wearing on that particular day. The OOTD aka ‘outfit of the day posts’ on instagram make me feel uncomfortable. I feel as if everyone is trying to sell me things. How do you feel about it? To dress up simply to write a style post, feels inauthentic to me, I prefer to record what I am actually wearing on the day. We were shopping for necessities in our local town and both of us were hungry. I suggested coffee and cake and we ended up with two huge sandwiches; a double BLT for him and an open crayfish with lime dressing for me. Yum and Yum! We chatted, we laughed, he took some photographs and the best thing? At 55 I know enough about life to simply appreciate a few small moments that added up to a good day! At 55 I know enough about life to simply appreciate the few small moments that added up to a good day! These new Bliss Loafers are a much appreciated gift from Van Dal Shoes. Leather, soft and very comfy with a small heel (I sometimes find ultra flat shoes make my legs ache?) Being a neutral colour (these are called Sesame) they will be worn with everything from jeans to dresses come spring. Do you like them? Being a neutral, camel colour they will be worn with everything from jeans to dresses come spring. Do you like them? Disclosure/ AD/ This post was written in collaboration with Van Dal Shoes. Older Posts you may like to Read? Mon, 18th: I’d Like Extra Time & Some Beatitude For Mother’s Day Please! Fri, 15th: Making Small Sustainable Changes To My Health & Beauty Routine. Fri, 8th: A Quick & Simple Kitchen Refresh. Previous Post I’d Like Extra Time & Some Beatitude For Mother’s Day Please! My kinda outfit Ashley – a little preppy, very smart, very comfy. Fab shoes too (love me a preppy loafer). I’m just leaning more and more towards comfort as I get older, lol…!! I too like the real outfits of bloggers, there are only so many unattainable, impractical outfits I can take!! The worst posts on IG for me are the dressing room photos when they’re trying stuff on but it’s not what they’re wearing IRL. Who goes clothes shopping in H&M and Zara every day?! The last time I was in a shop changing room was probably about 10 years ago (not including times when I’ve been in them for a campaign, i.e. working). I go into clothes shops about once a year, if that…!! 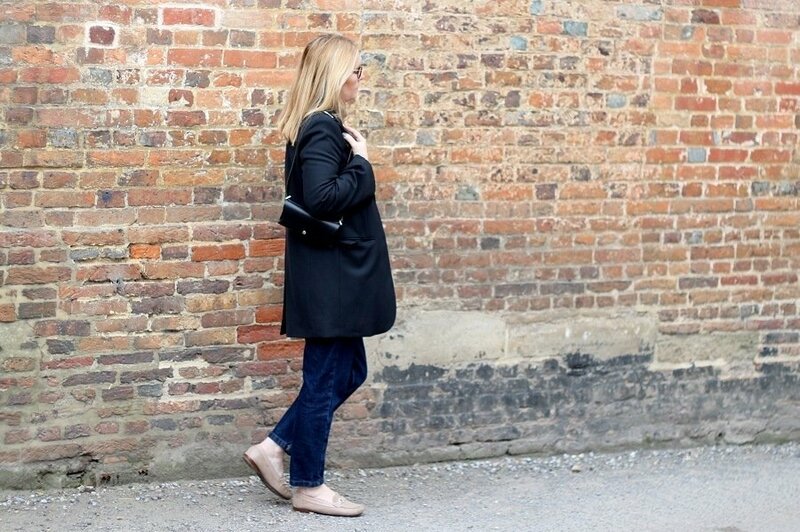 Thanks Catherine, that oversize blazer has been worn and worn…its perfect for all seasons! Love time with my boys and those moments are the best. I’m quite anti-instagram and get more enjoyment out of reading posts like this. I also can see you wear it because you liked and chose it. I often wonder if as soon as the camera clicks on the Instagram posts that the items go straight back in the bag/box and are returned. We all need to be more eco aware and constant selling isn’t eco friendly. It also makes people miserable and I wouldn’t want to be responsible for that. Meg An I love your reply you said everything I think about instagram too! I am sure those women need to do that just to get a different shot everyday? 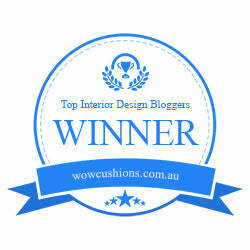 So pleased you prefer blogs as do I! I totally get what you mean about appreciating small moments as you get older. Especially with kids. I love it if I manage to take one of my boys out for lunch or a coffee and a cake. Those one to one moments are precious. Agreed, plus those moments are also few and far between these days! Yes, any day you can sit down with a teenage son is a good one! I often dress up for my photos, b/c the other days I’m usually out doing things and by the time I get home, I just want to relax. At least it gives me a chance to test-drive my outfits! Yes, so much of Instagram, especially, has gone full-on marketing. I get that blogging, etc is people’s work, but there needs to be a better ratio than 100% selling to 0% thought/life/sharing/informing, etc. Once someone turns straight selling, I am turned off and generally stop following. And this post is a good reminder to “stop and smell the roses,” or “sit down and eat the sandwich,” in your case. What a lovely day you had with your son. I agree Betty! The worst thing is that ‘like to know it’ affiliate rubbish! I do use affiliate links but never the LTkI scheme!